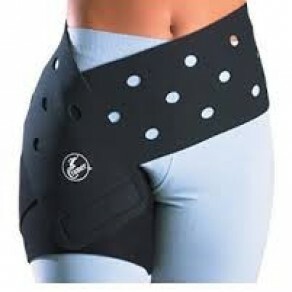 Designed to wrap groin strains, hip abductors and flexor strains. Durable neoprene wrap is easy to apply. Has a solid end for wrapping to provide heat and warmth to the injured area and holes to allow comfort and breathability around the waist area.